Lets be honest, paintballs do hurt a little bit when you get hit, and they can even leave welts on your body. 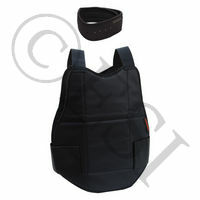 However, with the variety of chest protectors we offer, you can protect yourself in comfort and with piece of mind. So whether you are looking to get some extra bounces of your torso, or limit the impact of the paintballs, we have what you are looking for. 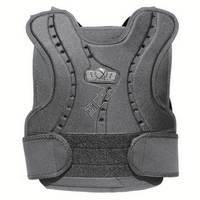 To read more about the kind of chest protectors we offer, click the links to the right, or scroll to the bottom of this page! 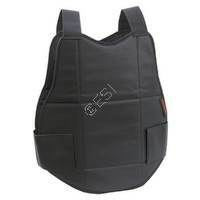 Carry three pods in this chest protector. One size fits most adjustable chest protector. . Fitted shirt style, lots of chest padding! 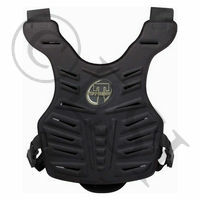 Tippmann trusted chest protector. . Protect your chest and neck with this high quality combo. 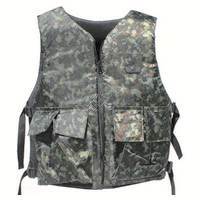 Vest and chest protector combos are great for players who would like a chest protector, that also has a tactical look, and functions as a vest. These are the least noticable chest protectors, as it looks like you are just wearing a tactical vest. These types usually have pockets for storage, as well as a couple spots for pods. Fitted shirt chest protectors are the most popular of all the kinds. These shirts kind of feel like under armor, as they are designed to fit tightly, and go under your paintball jersey. 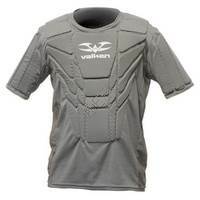 The biggest benefit of these chest protectors is the consistency, since they are fitted to your body tightly they will not wiggle or move during intense play, meaning your pads will be where you need them. Most players find these the most comfortable as well. Wrap around chest protectors usually feature a velcro sizing system, and can fit almost all sizes. 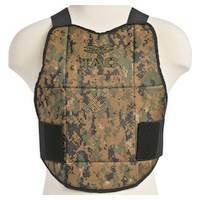 These chest protectors go on the outside of your clothing. However because they go on the outside of your clothes, wrap arounds tend to have the stiffest padding.